In a time where communities are more divided than ever and people of all ages and backgrounds are struggling to reach their full potential. More and more children face seemingly insurmountable learning gaps, families find it difficult to spend quality time together, playing outside has become a rarity, and face time happens through a phone — the Y is here to help. In a time when there is too much talk about you or me, and not enough talk about we, the Y will always be here for US. After 70 years of serving the Delaware County community, we understand what our community needs to be its best. 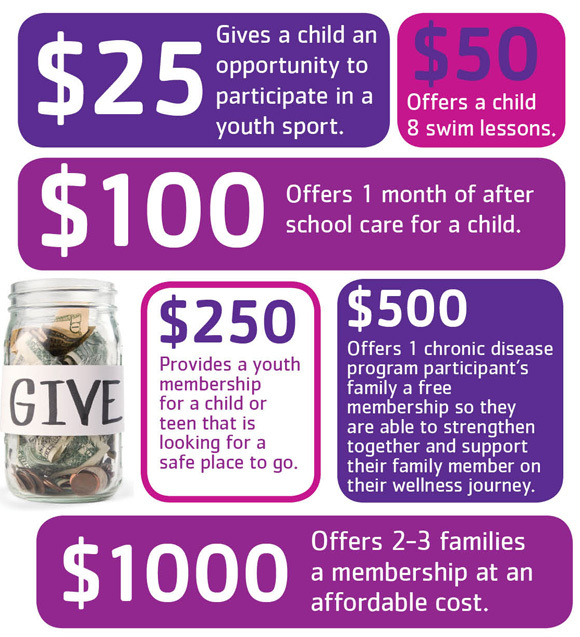 Because of you, the Y can provide kids, adults, seniors, and families the opportunity to be healthy, to connect with others, and contribute to a better community. Everything we do helps empower communities and the “us” who live in them achieve our individual and collective promise. The Y is your partner, standing with you to strengthen our community. Making a donation is your first step towards making a difference and building a better us.